What animals live at WILD LIFE Sydney Zoo? What time are your talks and feeds at WILD LIFE Sydney Zoo? 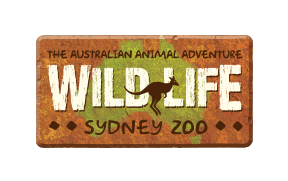 What is WILD LIFE Sydney Zoo? Is there a map of WILD LIFE Sydney Zoo? Can I see a Kangaroo during my visit?